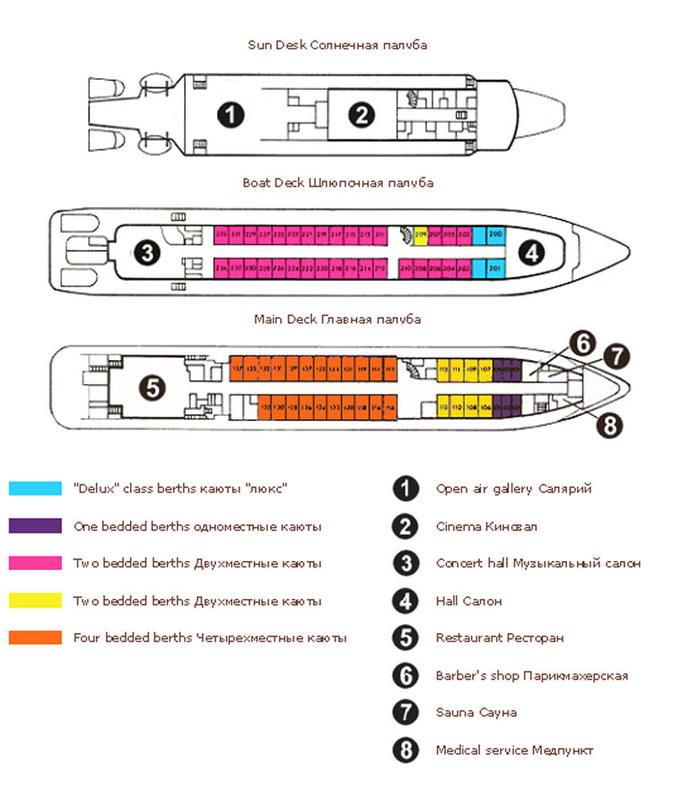 What is interesting in Arctic cruise in Russia? 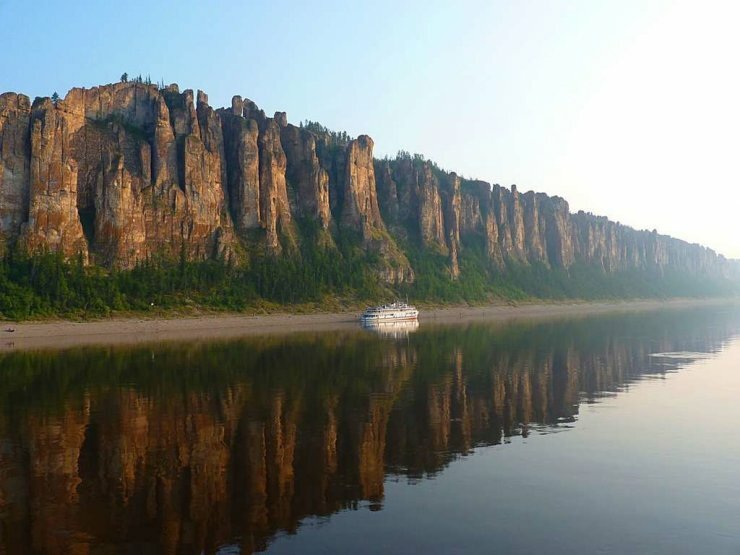 The first thing you see on the Arctic cruise is the impressive “Lena Pillars” – steep cliffs that go along the riverbank for more than 40 km. Further, the ship goes closer to the Arctic Circle and enters several villages, where you can get acquainted with the national color of local residents. Here you will see performances, songs and rituals of local residents. You can try the local cuisine, learn to hunt and to fish the way the locals do for centuries. And of cource you will cross the Arctic Circle and reach the Tiksi – the northernmost village of Yakutia. The place is relatively cold that’s why during hot summer months such as July and August, temperatures remain relatively cool. In July you can see how a polar day looks like. August will please you by polar white nights. 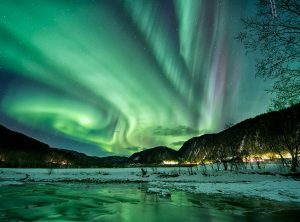 In late August early September, you can see an impressive nature phenomenon – the riot of the Northern Lights. Arrival to Yakutsk. 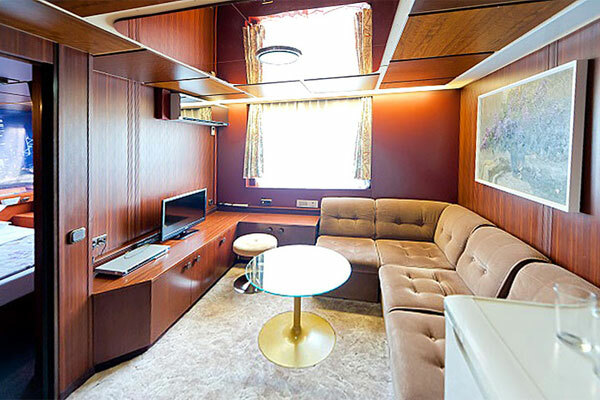 Accomodation at the ship. City Tour. Souvenir shops. Departure of the ship at the evening. 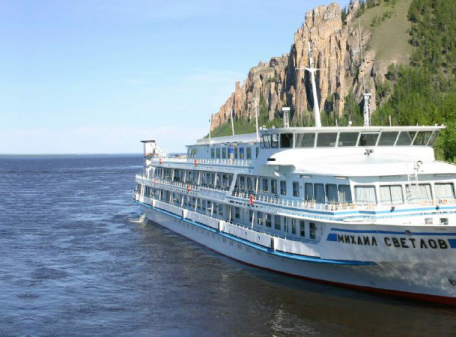 The ship will sail along the national park “Lena Pillars” and makes a stop. “Lena Pillars” are steep rocks in the form of pillars more than 200 meters high, stretching along the river for more than 40 km. During the stop, a ritual ceremony will be held – “Purification by fire” and a climb to the top (optional) from where you can see a beautiful view of the surroundings. Buotama is the right tributary of the Lena with a length of 418 km. Many thousands of years ago there lived primitive hunters of mammoths and buffalo. A few years ago in the taiga were found ruined primitive furnaces used for making iron, which is several thousand years old. Ten years ago, the only bizonary in Russia was established. During the Arctic cruise you will be able to see these majestic animals. Here the river Lena goes to the plain, the valley of the river expands to 35 km, the depths increase to 25 meters. During the movement you can see the delightful views on the slopes of the Verkhoyansk mountains. Civilization remains behind, for several hundred kilometers around you will not meet a man. If you are lucky, then perhaps you will see representatives of the fauna – foxes, wolves and other animals. On this day we finally see the civilization during our Arctic cruise – the village of Zhigansk. 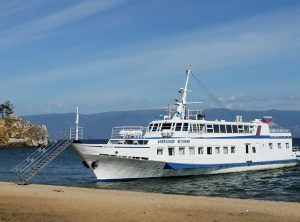 The ship will make a stop, tourists will be brought ashore on the boat because the depth of the water is low. In the city there are more than 2500 people. Local residents are engaged in hunting, fishing and cattle breeding. 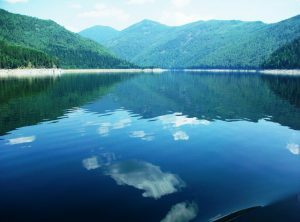 On the shore a concert will be given, where local artists will depict the sounds of nature using special musical instruments. Stop in a small village Kyusyure village. Men are engaged in reindeer breeding and hunting, and women sew beautiful national clothes, decorated with fur and beads. You can see and buy your favorite clothes from the masters. If the weather is fine, an excursion to the village of Tiksi – the sea gate of Yakutia will be conducted. In the Yakut language, it means “meeting place, mooring”. Tiksi appeared on the map by the mid-1930s. The navigation period here is extremely short – 2.5 months, during 9-10 months the Laptev Sea is covered with a layer of ice up to 1.5-2 m thick and more. In the winter it is very dark here, as the polar nights come. In the Soviet era, Tiksi was a very beautiful and modern city, now there is desolation. 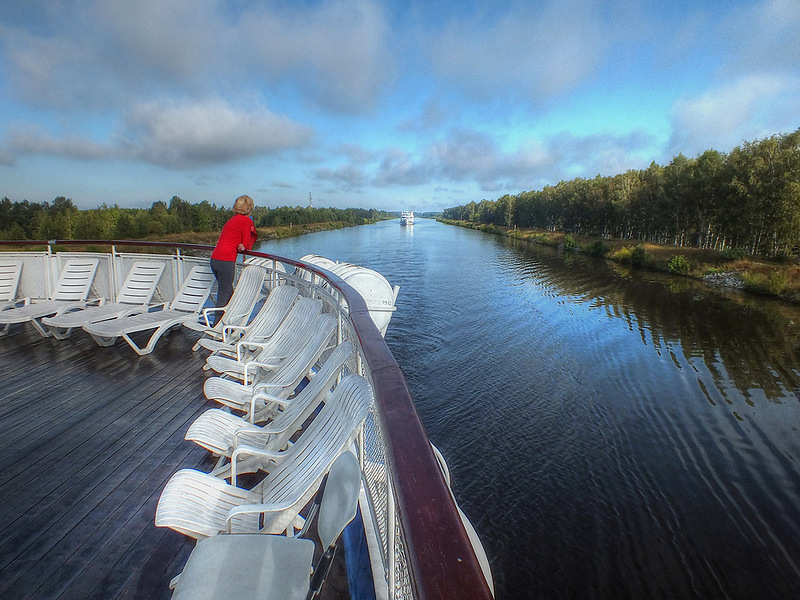 The Arctic cruise goes along the steep banks of the river with a breathtaking view. Passage on the ship via the village Siktah, which was founded by messengers of Empress Catherine II. Also this place is famous by the shipwreck of the ship “Evers” in the spring of 1729 that was crushed by ice. 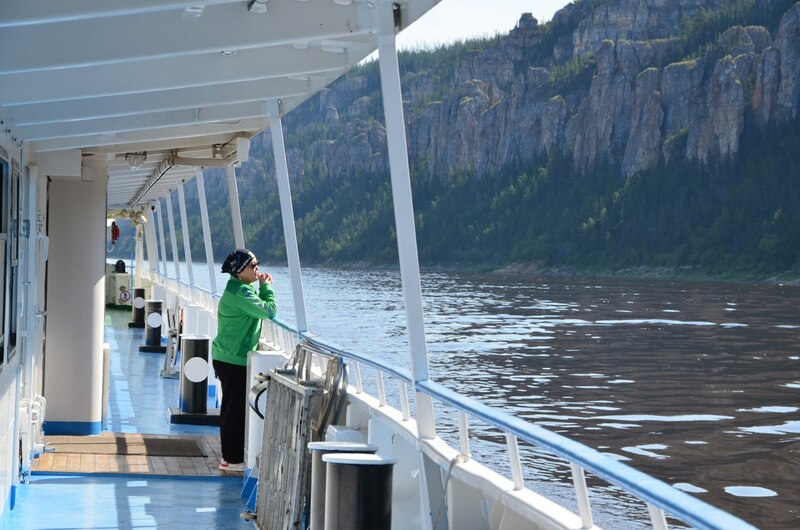 During Arctic cruise, our ship will cross the Arctic Circle near Zhigansky ulus. The polar circle is an imaginary line on the surface of the Earth, a parallel in the Northern Hemisphere with a latitude of 66 ° 33 ’38 “. On the day of the winter solstice (December 21-22) to the north of the polar circle, the Sun does not rise, but does not enter the day of the summer solstice (June 21-22). On one of the most beautiful places of Lena you will find a picturesque green parking lot. Here you can take a walk along the untrodden trails, marvel at the gifts of nature, admire the magnificent sunset. And in the evening, in honor of approaching the completion of the cruise, a symbolic Bonfire of Friendship will be lit on the shore, and songs will be played in different languages. Excursion to the open-air architectural museum “Friendship”, located on the site of the original foundation by the Russian explorers of the future city of Yakutsk. The unique wooden technique of making utensils and household items will not leave you indifferent. 5.00 – Arrival to Yakutsk. Breakfast. Checking baggage. Airport transfer. Departure from Yakutsk. August 21 – September 3, 2017. 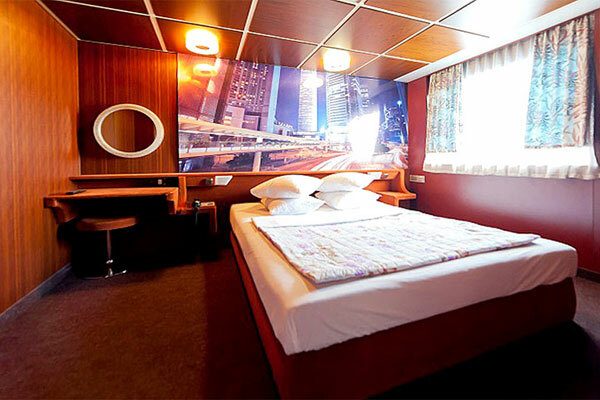 6 such cabins are available. As not much time left, full pre-payment is required. Participation in the 14-day cruise without state border entry permit is possibe, if travelers agree to not visit Tiksi for town excursion and stay on board.